Looking for great little gifts to thank your wedding guests? Here are nine types of wedding favors that your friends and family will love to take home. Treating your guests to wedding favors is definitely not a requirement when it comes to your big day, but it's a nice way to say thanks to those who joined you in celebrating. That being said, there are some types of wedding favors that are guaranteed favorites (like cookies and other sweets), while some favors might run the risk of being left behind on your reception tables — probably not your end goal after spending time and money to pick them out. To help you find ideas that everyone at your wedding will want to take home, we're sharing the best types of wedding favors that continue to knock it out of the park year after year. Here are our favorite tried-and-true types of wedding favors. Treat guests to a taste of your favorite food by sending them home with jars of gourmet sauces, olive oils, preserves, or homemade jams. Whether you have your own secret recipe for the best apple butter in town or you're obsessed with the hot sauce from a local Mexican restaurant, guests will appreciate this personal (and yummy) sentiment. Package the goodies in decorative jars or bottles and top them off with custom labels for a pretty presentation. Some couples choose to give their centerpieces away to guests at the end of the reception, and custom bouquet bars are the latest twist on this idea. Instead of waiting until after your decor is broken down to hand out flowers, you can set up a table of various stems during the reception and allow your guests to design their own petite bundles of flowers to take home. 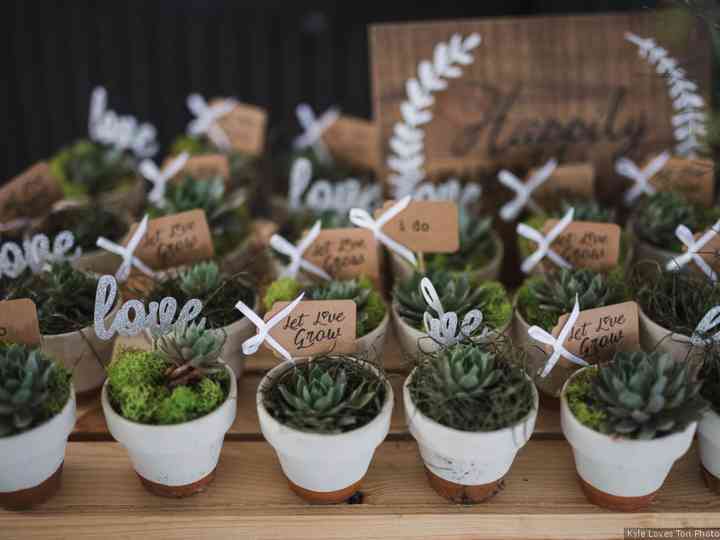 Potted plants (succulents are always a favorite) are another type of wedding favor we love for this concept. They're low-maintenance and easy for nearly anyone to keep alive. One of the best ways to ensure that your guests don't leave empty-handed is to let them make their own favors. A build-your-own popcorn station is a fun option for guests of all ages and allows people to pick and choose based on their personal tastes, meaning there's something for everyone! Invest in decorative jars, bags, and metal scoops to add to the experience while tying into your wedding style. Candy stations and dessert tables are two popular alternatives to this idea. Offer personalized koozies to go along with your signature cocktail and other refreshments on the big day. Not only will guests end up using them throughout the entire reception, but they can take them home at the end of the night and continue using them for years to come. If koozies aren't your style, why not try customized glassware? Shot glasses are a go-to option, but we also love pint glasses, wine glasses (stemless ones are less fragile! ), champagne flutes, or even ceramic mugs for coffee and tea lovers. Consider pairing the glassware with mini bottles of booze, coffee beans, or tea bags for an added surprise. Worried about spending money on wedding favors only to have your guests leave them behind? Edible favors are always a hit, and your guests won't be able to resist grabbing a cookie (or two) to take home at the end of the night. Ask your wedding cake baker to design custom cookies that you can give to everyone as a sweet treat. We love the idea of personalizing them with your names, color scheme, wedding date, and creative shapes (like your pet's silhouette!). 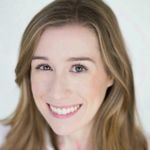 Macarons started out as a trend, but they've since become one of the best types of wedding favors for classic couples or anyone getting married at an elegant venue. They're just as tasty as cake and cookies, but their Parisian vibe makes them feel infinitely fancier. You can find macarons in a ton of flavors and colors, and they can also be customized by adding your initials or other motif on top using edible ink. Do you love to garden or are you inviting a lot of guests with green thumbs? Seed packets are the gifts that keep on giving! Garden-inspired items, like plantable paper confetti, bird seed ornaments, and packets of herb or wildflower seeds are perfect types of wedding favors for eco-friendly couples. Personalized labels show that you put plenty of thought into the process. Customized canvas totes are one of the best types of wedding favors if you're having a destination wedding. Fill them with goodies and use them as welcome bags in your guests' hotel rooms or hang them on the backs of chairs at the reception for a more casual look. The best part is that guests can use them over and over again after the big day. Who doesn't love a reusable tote?